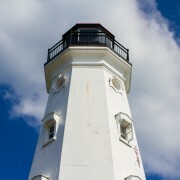 Monday night I shot the wedding of Kristen and William at the North Point Lighthouse in Milwaukee. It was a night of many firsts for me. 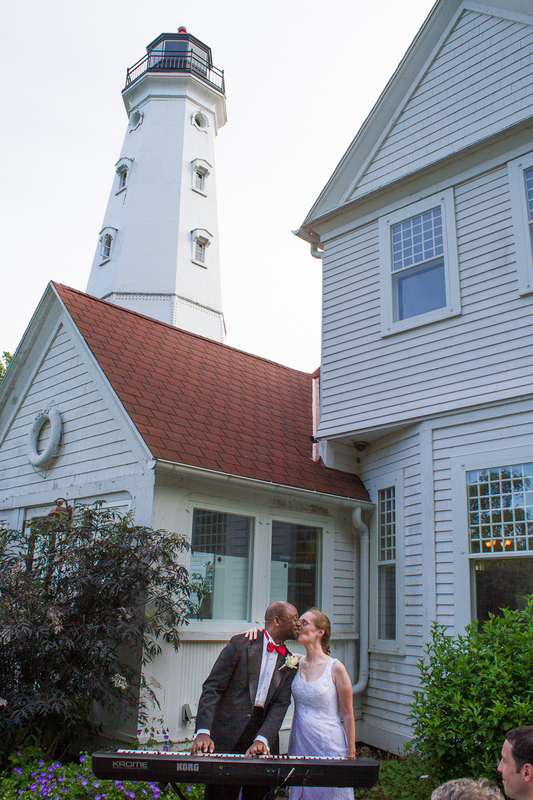 It was the first time I shot a wedding on a Monday night, it was the first time I shot for a couple who lives across the country, and it was the first time I shot at the North Point Lighthouse. I never even knew that lighthouse was there. It’s gorgeous! While getting ready for work that morning I was watching the news and they were forecasting heavy storms between 4-7pm. I worried. Really worried. Especially since about 5 minutes later my power went out. I knew this was going to be a challenging day. I still managed to get ready for work, pack for the wedding and get two kids up and out the door. But honestly, the thought of downpour during the ceremony was on my mind. I knew we had this beautiful location and it would be such a waste to not get to shoot outside. However, again, the weather pulled through for us. It was hot…..really hot….but it did not rain while I was shooting. The sun was shining and I couldn’t believe it. My favorite part of Kristen and William’s wedding was the location. I loved that lighthouse, it was beautiful. I love climbing to the top to see the view. 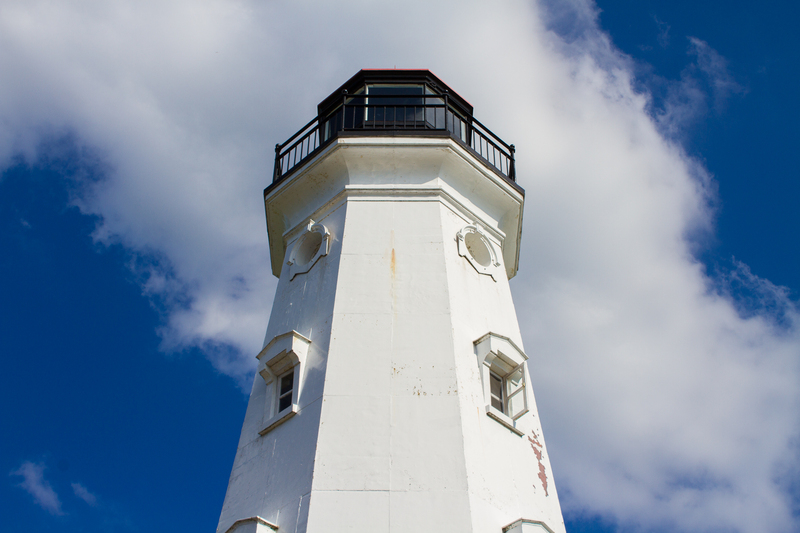 I loved the blue sky behind the white lighthouse. It was wonderful and I can’t wait to shoot there again. My second favorite part of the day was watching the bride and groom interact with their guests. Small weddings are so beautiful because I get to really see the love between family and friends. This was a great example of a wedding that was full of that kind of love. Congratulations Kristen and William! Enjoy your photos! Don’t forget that if this post gets 15 comments, Kristen and William will receive free prints! Leave your comments below and help them out! to take pictures on my tablet. It was indeed a beautiful wedding ! Thanks for being so stealth with your photos. You were kind and patient. I’m so happy I was part of this occasion. I was very impressed with the entire layout and the overall simplicity of the wedding. I kind of know the groom a little (haha) & I was so pleased that he waited for such a beautiful and gracious woman like Kristen to call his own. Food was awesome! Good Luck to this fantastic couple! Thank you for these photos! 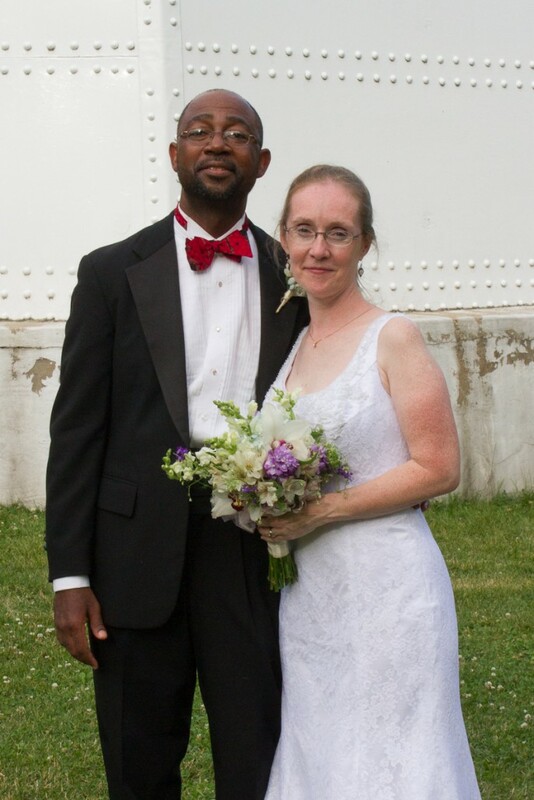 They’re lovely, and it’s a treat to be able to see the wedding that celebrated their generous spirit. A glorious day indeed. The lighthouse is the perfect location not only for a wedding, but for just about any type of celebration. It was my first time as well, thinking about my parents 60th coming up. Very blessed to be a part of William and Kristen’s day, and our long time friendship. Many more years of happiness to the both of you, as you embark on the next chapter of your journey. Cheers !!!! 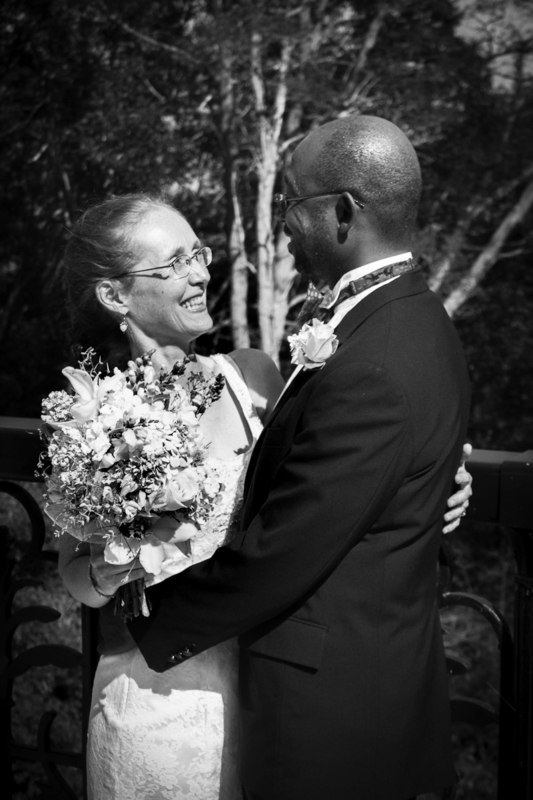 Thank you for sharing such lovely photos of Kristen and William’s beautiful day! Happy for all involved that the weather cooperated, and that Kristen got to share one of her favorite places with her family and friends. Such beautiful photos to capture the spirit of such a beautiful couple. Congrats, Kristen & William! Beautiful bride and groom –and an impressive venue. The photos captured the spirit of the day and were a treat to review. The photographer has a great eye!